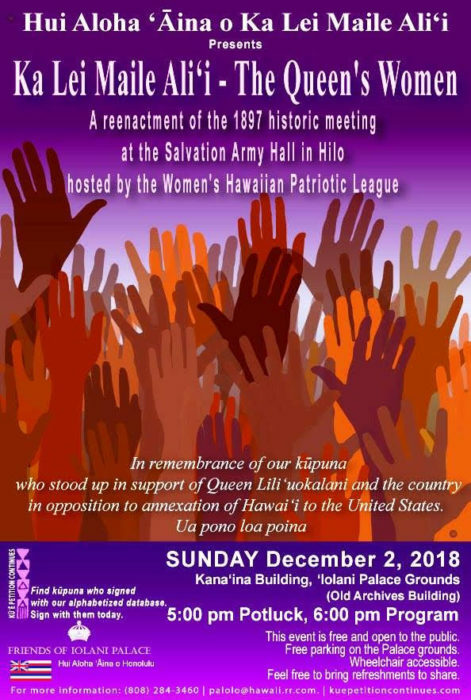 Weblog of the acting government of the Hawaiian Kingdom presently operating within the occupied State of the Hawaiian Islands. Important take aways from a good article. After the Guardian reporter reached out to the U.S. Department of State and State of Hawai‘i Governor for comment on Jennifer Ruggles’ position that war crimes are being committed throughout the Hawaiian Islands and on the memorandum of the United Nations Independent Expert to State of Hawai‘i Judges stating that the Hague and Geneva Conventions obligate the United States to administer Hawaiian Kingdom laws and not the domestic laws of the United States, both offices gave no comment. 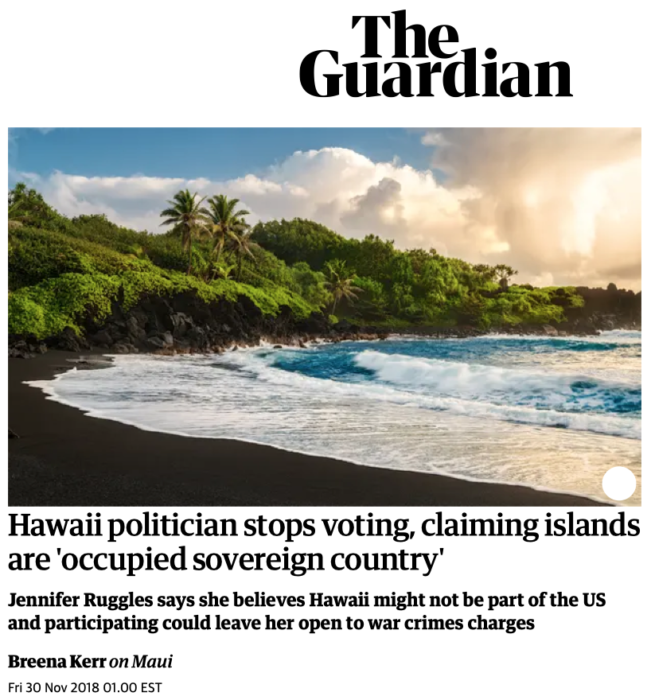 If Hawai‘i was not an occupied State, but rather legally a part of the United States, and that the Hague and Geneva Conventions don’t apply to Hawai‘i, the State Department and the Governor’s office would have surely stated that. Instead they gave no comment. When a government agency gives no comment it would imply that they cannot deny the facts of the story. Dr. deZayas statement that Hawai‘i is “formally” a part of the United States. Careful statement made because the word formally is defined as “pertaining to the outward aspect of something as distinguished from its substance or material.” Formally is not the same as legally. Spokesman from the United Nations Office of the Commissioner for Human Rights stated “They are [Dr. deZayas’] own views.” This is true because it was his view as United Nations Independent Expert before his term expired in April 2018.